The Fitness Adventures of Warlord Blade: So What's Next?! I finished my first Ultramarathon. Sure it was just a 50K, but I DID it, and I'm very happy about that. I feel like there is an ever-present gloom shadowing me right now... And it is very frustrating because things are GOOD! Had some busy birthdays and lots of time spent with family. 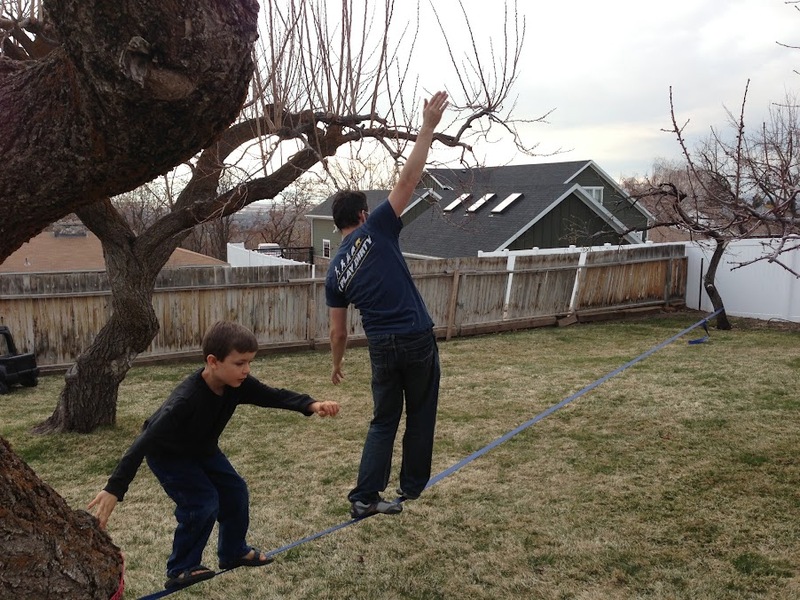 We even set up both of my slacklines in my sister's backyard - using the 25m line to almost it's full 82 foot extent! We ended up putting the monkey cage climbing thing in the middle because it was too loose. 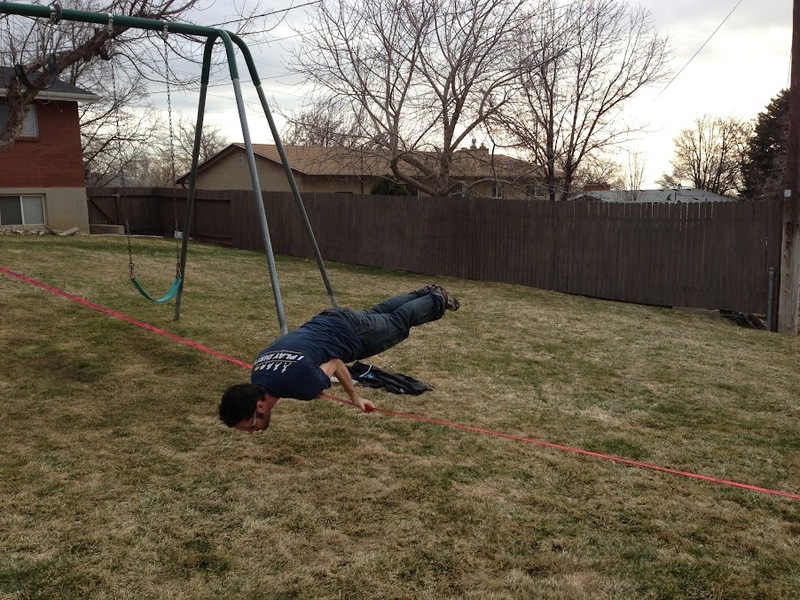 Mayurasana on the 82ft Gibbon line! BJJ has been going good - I think I'm getting places where I can avoid and escape submissions -but I still am not very good on the offensive! So what can I do to get rid of the FOG OF DOOM that is lingering at the outskirts of my life right now? Should I sign up for another 50k? Maybe bump up to a 50 miler? Maybe sign up for a beginner BJJ Competition? Ooh or I could sign up for a Natural Bodybuilding Men's Physique contest!! No matter what I do - I need to use some of my accrued vacation time and get out and commune with Nature!